NES Sword Master (USA) in 05:14.7 by ventuz. Even though the gameplay of this game doesn't look very interesting, the creators have been playful with the graphics of the game. 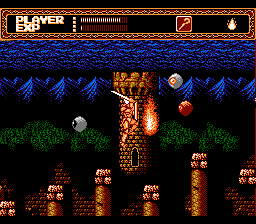 It almost looks like NES supports layers, which it doesn't. Ventuz - the author - improves the previous movie by 11.66.